A 5 size, rules , counters and a paper board. When confronting enemies, you play out combat on the playing board with the included pieces. 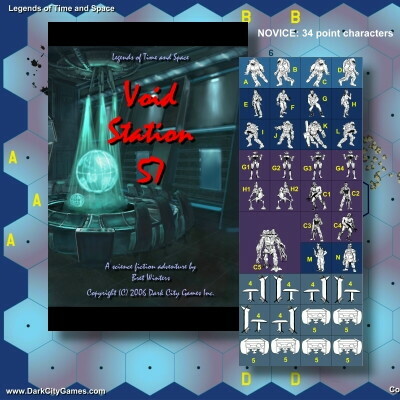 cold, ebon corridors of Void Station 57.
pamphlet. It suitable for one to six players and is compatible with other role playing systems. such as Melee/Wizard/TFT rules or GURPS (enterprising persons could presumably convert the game to d20 or the Rolemaster/Spacemaster series).